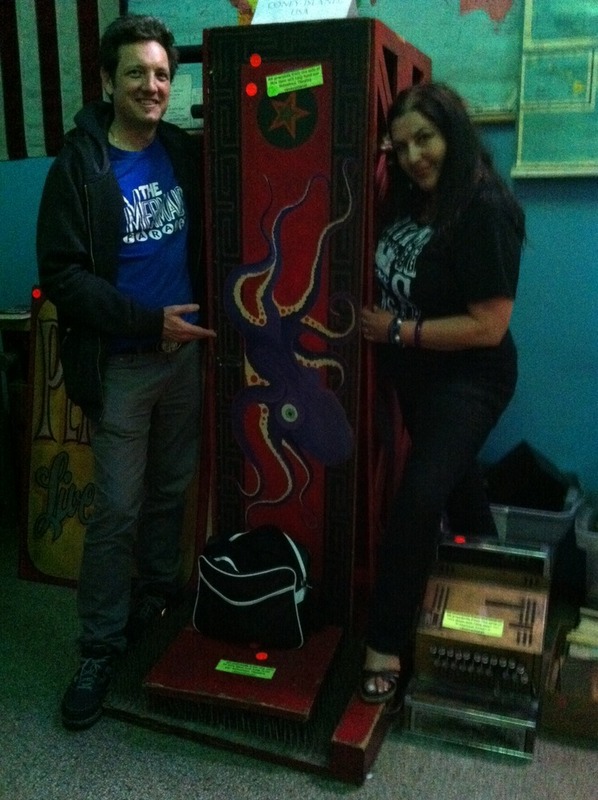 Here I am with Christine Hell- straight from hell and positively fire proof- along with the original blade box I built for the sideshow in 1992. It’s just been retired and bought by James Taylor of Shocked & Amazed. This entry was posted in Coney Island, Sideshow, Uncategorized and tagged Coney Island, Coney Island USA, Sideshow. Bookmark the permalink.